Walkers have come under pressure to make their crisp packets recyclable. 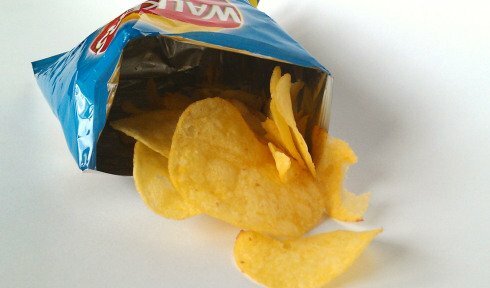 7,000 non-recyclable crisp packets are produced by the company every minute. Walkers have pledged to make its crisp packets 100% recyclable, compostable or biodegradable by 2025. They will however have produced an additional 28 billion plastic packets by this time. Crisps are a popular snack in most British households and eaten by 90% of adults with UK consumers going through approximately 6 billion packets a year. Crisp packets may look like they are made from foil but they are actually a metallised plastic film and are not recyclable. Beach cleaners in Cornwall are believed to have found crisp packets from the 1980’s and 1990’s. This week a petition with 270,000 signatures was handed to PepsiCo, Walkers parent company calling on them and other manufacturers to stop using plastic packaging.